I asked my neighbor to chop an onion finely and I had know idea how good she is at cutting up onions. This is basically diced into tiny cubes. 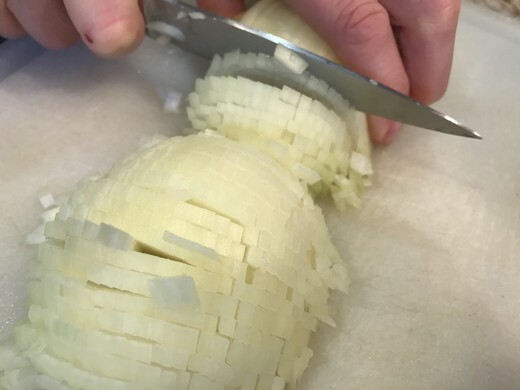 I also chop like that but not with so much perfect accuracy as they slip from my fingers. Good Neighbor! I hope it met your approval. My mother would have done it the same way.